I'm scrapping with my friends Kay and Marge today . . . well, they'll be scrapping and I'll be making cards. I'm a bit behind right now, so I need to get caught up. Here is a card I made using Mojo Monday Sketch #237. It's a "lazy" card - no stamping required. Just what I needed right now. 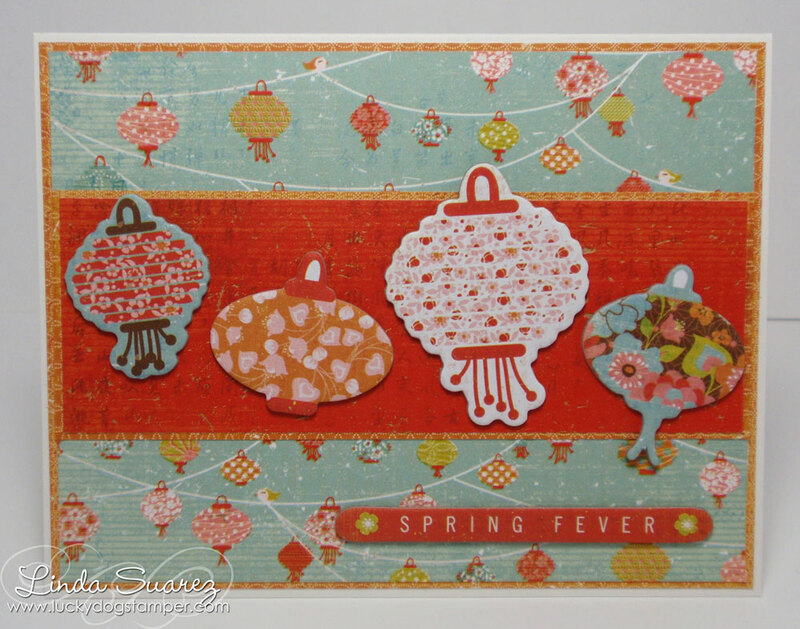 Beautiful card Linda! I just love the lanterns!! Hope you got lots done yesterday! !